Designed with the people and events of everyday lifestyles in mind, Sonic Innovations Celebrate 80 rises to any occasion and is ready to take on your hearing challenges. With its spotlight on speech, the flexibility to enjoy more environments, and a wide variety of styles and models, Sonic Innovations Celebrate 80 is helping more people love how it feels to live it up. Packed with features that let listeners focus on conversations and forget about hearing aid hassles, Celebrate 100 enhances overall speech clarity to help you feel more connected to the people around you. It is ideal for users desiring advanced technologies, features and discrete styles with wireless connectivity to iPhone® and Android® smartphones. Speech Priority Volume Control – “turns up” the volume of the speech frequencies patients want to hear. Frequency Transfer – compresses high-frequency input and “shifts” it to frequencies with better hearing to improve overall audibility of speech cues. 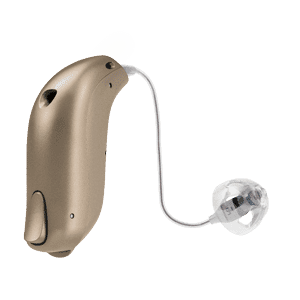 Adaptive Feedback Canceller– Few noises are more distracting than feedback, patients will appreciate this celebrate feature which removes offending signals and attacks feedback before it starts. Reverb Reduction– helps control the lingering “ring” that sounds can take on in large spaces like assembly halls or places of worship. Impulse Noise Reduction– Clinking silverware or jangling keys can be quite loud and annoying for hearing aid users. Celebrate suppresses unanticipated sounds like these and makes them more tolerable. Adaptive Directional Microphone System– Celebrate hones in on the source of a sound and helps reduce unwanted noise so you can stay engaged in your surroundings. Binaural Coordination– Celebrate can synchronize actions between the left and right devices. For example, volume and program changes made on one device automatically occur on the other at the same time. 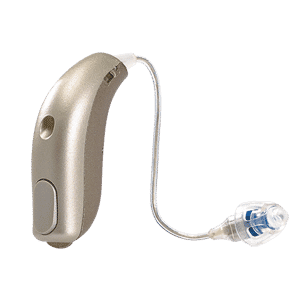 Non-telephone Ear Control– Celebrate 100 reduces or mutes environmental sounds on your opposite phone ear for more focused telephone listening. Wireless Accessories– Wireless connectivity puts Celebrate into play with common technologies like TVs, mobile phones, MP3 players, and more.